This post is sponsored by Basic Invite. I only share products with you that I truly love and all opinions are my own. Visit www.basicinvite.com and choose from over 500 holiday cards with almost unlimited color options. I needed to create some cheap holiday cards that were still beautiful, unique, and good-quality. 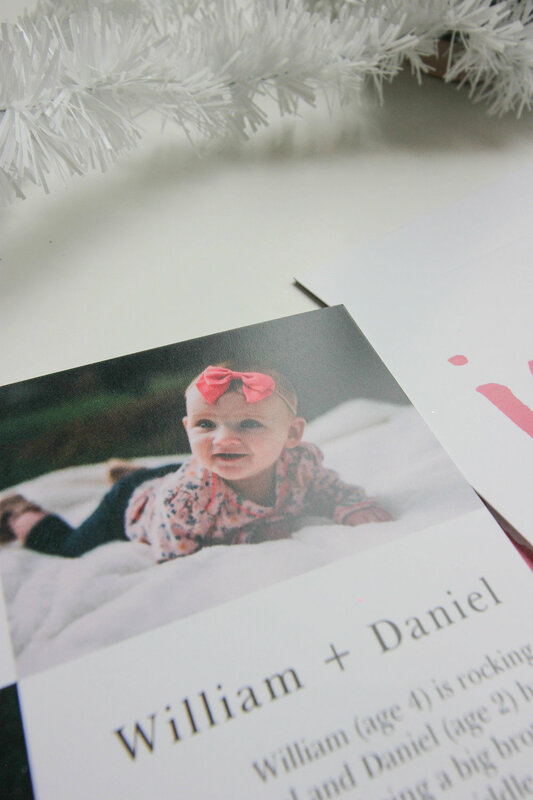 I started browsing Basic Invite, since I worked with them in the past, and I was blown away but all of the beautiful cards they offer and the affordable prices that accompanied them. Since I know that so many of you are also working within the same restraints as me, I set out to create gorgeous, custom cards in under 30 minutes. And you guys…it’s possible! I am always so bad at getting addresses for our Christmas cards, but this year I got almost all of them in time to have Basic Invite print their addresses on the envelopes for me. There are still a few I need to handwrite because I didn’t get addresses from people in time but the rest of the addresses were able to be printed and they are stored in my address book on Basic Invite. If you still need to gather addresses, Basic Invite offers an address capturing service! All you have to do is share or send the link and your recipients type in their addresses which are then sent to your Basic Invite address book. All address printing is FREE on holiday cards. 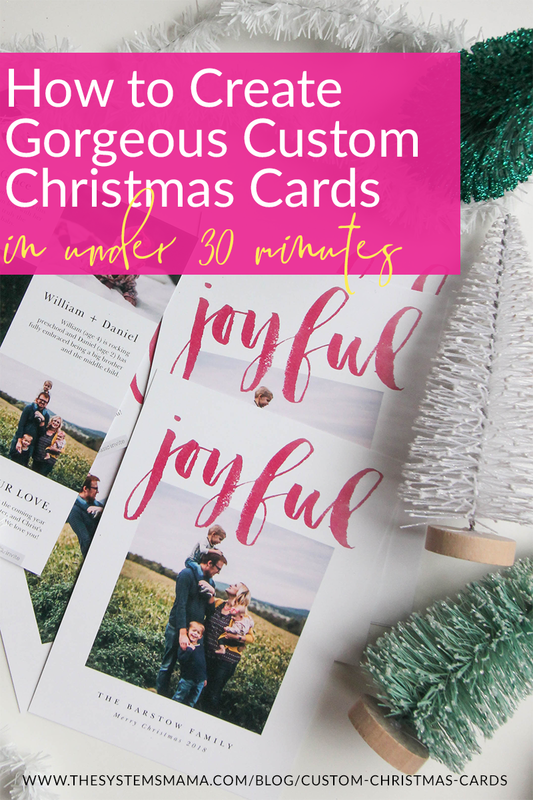 Browse over 500 holiday card designs on Basic Invite (they even offer corporate holiday cards!) and narrow it down to your favorite design. I know, it’s hard to decide but if you go into the process already having your Christmas card photo selected, it will make things easier; you will know if you need a horizontal or vertical layout, the number of photos you want to include, and which designs cover up people in your photo. Basic Invite is one of the few websites that allows customers almost unlimited color options with instant previews online. Once you select a design you can change the color of each element on the card to over 180 different color options so you can make sure the card is exactly how you want it down to the littlest detail. There are also foil holiday cards available in gold, silver, and rose gold. Not only can you custom the colors, you can change the fonts and move the text around to better suite your chosen photo. All of this is possible to complete in less than thirty minutes, no graphic design degree needed. I won’t lie, I was a little worried about the quality of the cards…but as soon as I opened them up and held them, I was pleasantly surprised! The paper quality is really sturdy but still smooth and almost has a sheen and the print quality is just as great! 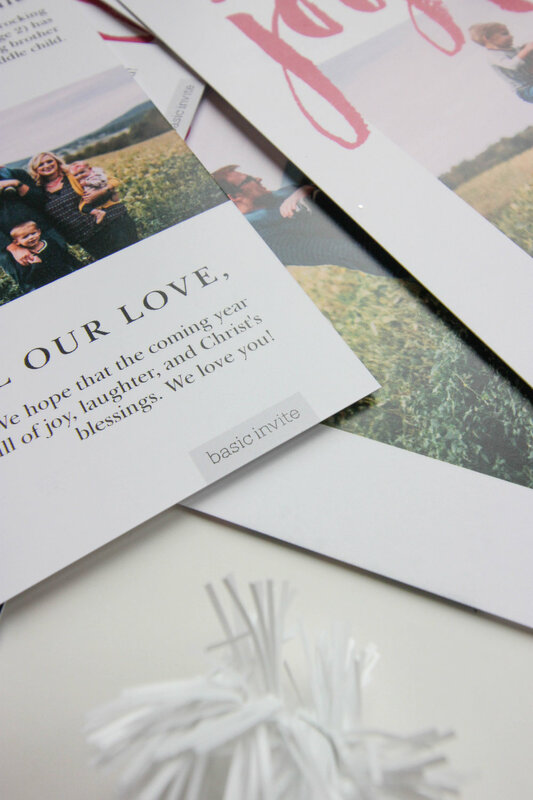 Right now, you can use the code holi30 at checkout to receive 30% off your holiday cards from Basic Invite. Share a photo of your Basic Invite Christmas cards with me on Instagram so I can see what you all create! Use #iamajoyfuhomemaker and tag me (@abbybarstow) so I can check it out!